The proportion of the population of octogenarians and elderly patients presenting for intensive care is rapidly increasing thus exacerbating the need to modify our critical care management to cater for this patient group. 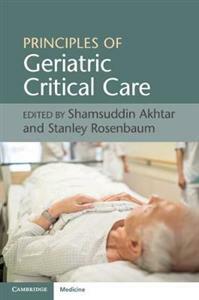 This book will provide practical guidance on all issues related to the critical care of elderly patients, incorporating physiological and epidemiological information, clinical guidance, ethical and end-of-life issues and advice about optimal use of drugs and new technologies. Complications of polypharmacy, high-risk surgery and increased recovery times are also discussed. Chapters are concise, each including a list of key points and summary of available data, making this a quick reference for experienced consultants, as well as a useful resource for trainees preparing for exams.